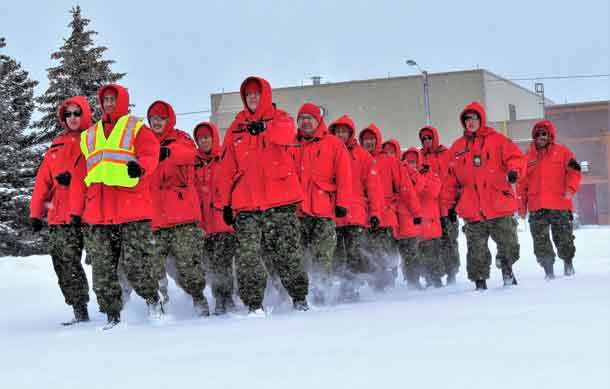 Canadian Rangers march during training at the 4th Canadian Division Training Centre at Meaford, near Owen Sound. 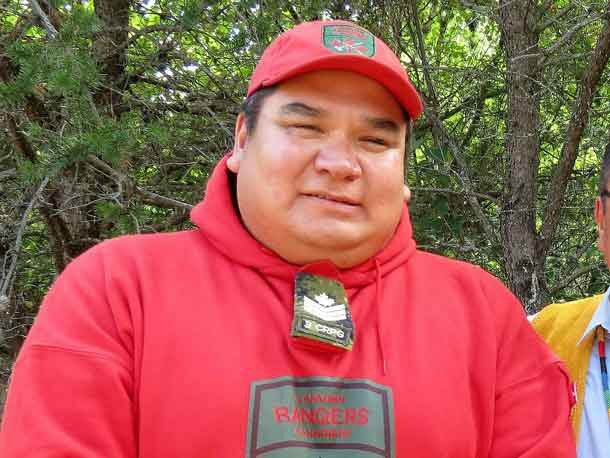 THUNDER BAY – The Canadian Rangers are celebrating a quarter century of service to the First Nations of Northern Ontario. They were officially created in Ontario on November 3, 1993, when Major (Ret’d) David Scandrett , who was then a captain, became the first commanding officer of what is now the 3rd Canadian Ranger Patrol Group (3 CRPG ). 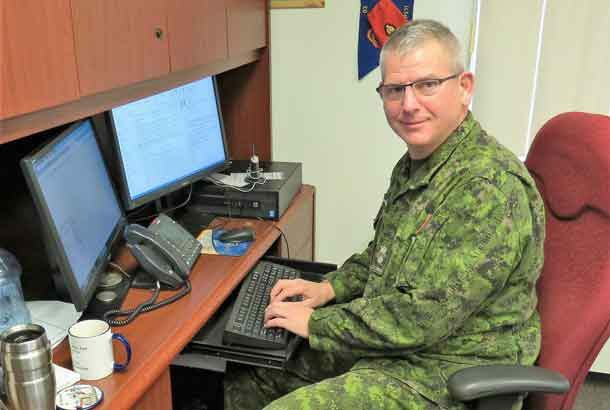 “l.iterally,” he said, “I had a piece of paper delivered to me in my office at (Canadian Forces Base) Borden. It was a copy of a message from the commander of (the Canadian Army in Ontario) authorizing me to set up Canadian Rangers – Ontario, which was the title at the time. 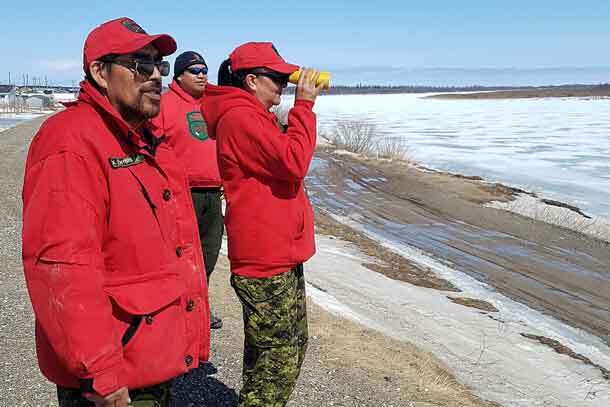 Twenty-five years later there are 570 highly trained Canadian Rangers in 25 First Nations across the Far North of Ontario, with two more communities to be added early in 2019. In Ontario almost half the Rangers, who are part-time army reservists, are women. 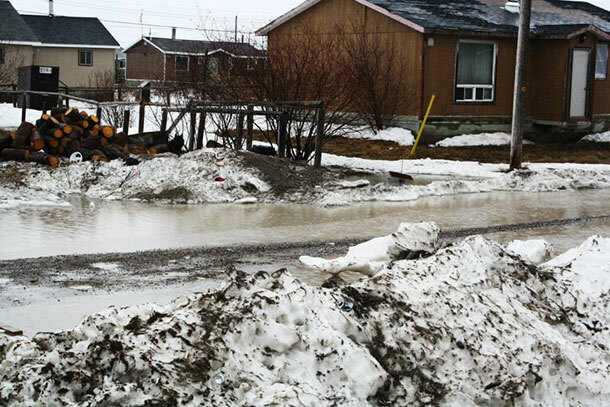 Across the Canadian North, there are 5,000 Rangers in more than 200 remote and isolated communities. Lieutenant-Colonel Matthew Richardson commands the Canadian Rangers of Northern Ontario. “Originally, the Rangers were lone wolves,” said Lieutenant-Colonel Matthew Richardson, 3 CRPG’s commanding officer. “If, when they went out on the land and they saw something unusual they were supposed to give us a call. They were the army’s eyes and ears in the North. For that purpose, they did not require much in the way of training or equipment. In the last 25 years, the Rangers of 3 CRPG have conducted search and rescue operations in some of the most potentially dangerous terrain in Canada to save children, the elderly, missing hunters, trappers, fishers, and overdue travellers They have rescued the crew of a downed plane. 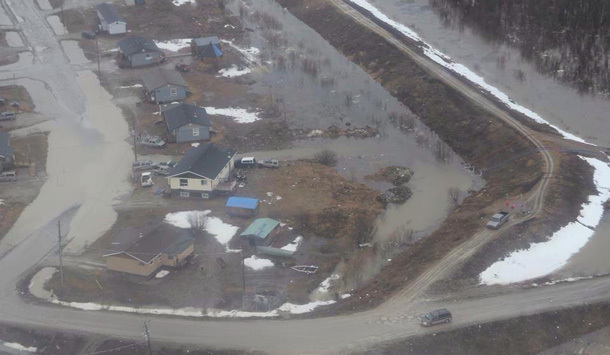 They have played key roles in the evacuations of several First Nations threatened by forest fires, tainted water, and spring flooding. Last year they flew into two isolated communities – Wapekeka and Nibinamik – to operate around-the-clock patrols to prevent children from killing themselves during two major suicide crises. Not one suicide took place while they were in the communities. It was the first time a Canadian military unit had ever undertaken such a task. They have provided specialized training in how to survive and operate in the North to thousands of Southern troops. Sergeant Matthew Gull leads the Ranger patrol in Peawanuck. Sergeant Matthew Gull commands the Ranger patrol in Peawanuck, a small Cree community near the Hudson Bay coast. “When I started our mandate was only to be the army’s eyes and ears in the North,” he said. The Rangers’ training is provided by army instructors who travel to the North from 3 CRPG’s headquarters at CFB Borden, near Barrie. The headquarters has a staff of 49. Rangers also receive training at military bases in Southern Ontario and elsewhere in the province. The Rangers operate the Junior Canadian Rangers, a culturally appropriate program for boys and girls aged 12 to 18. There are more than 1,000 Junior Rangers in Northern Ontario. Camp Loon, an annual camp held in the bush north of Geraldton, provides advanced leadership training for about 150 selected Junior Rangers every summer.